David Brien Longhofer entered this world on April 25, 1963, in Uvalde, Texas, the first child of Jesse David and Kathleen O’Brien Longhofer. After a lengthy illness, he passed from it on November 21, 2018, at the age of 55 at Valley Baptist Medical Center in the loving arms of his parents. At the age of one, the little family moved from Uvalde to Harlingen where his father took a coaching job and David became a lifelong Cardinal. He and his parents soon welcomed his sister Megan and his brother Matt. The varsity Cardinals became his heroes and he roamed the sidelines at their games. He took great pleasure in being stuffed in the varsity lockers or in overhead bus bins on road trips to out-of-town games. One of his favorite Cardinals was Quarterback Freddy Paredes, who wore the #15 jersey. David proudly wore that #15 throughout his high school and college career as a tribute to Freddy. David’s world revolved around sports and he excelled in them through talent, hard work and dedication. His senior year he led his football team to a 9-1 season and received All-District, All-Valley and MVP honors. In basketball his team won the District Championship. David was a Mardi Gras favorite, a representative to Boys' State, a member of the National Honor Society, and he ranked in the top 20 of his graduating class of '81. 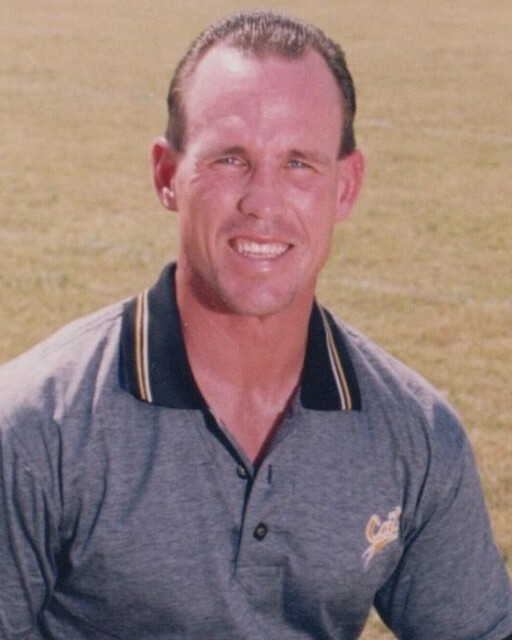 David caught the eye of Coach Jim Wacker, Head Football Coach at Southwest Texas State (Now Texas State University), and he had a stellar career there. He was a four year letterman and graduated in 1985. He was a member of two National Championship teams (1981, 1982). 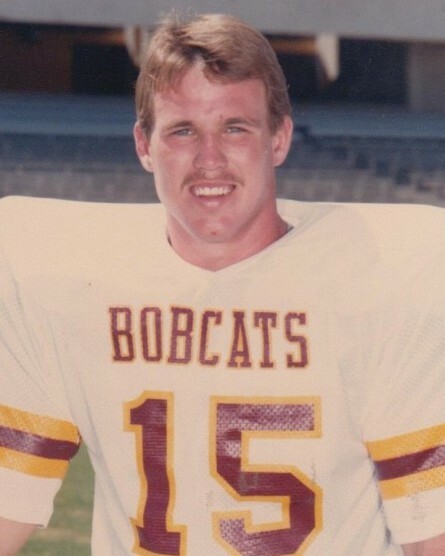 He was Player of the Week, 1983, Lone Star Conference; Player of the Week, 1984, Gulf Star Conference; 4th All Time Total Yardage in a Career, 1982-85; 5th All Time Passing Yardage in a Career 1982-85; 3rd All-Time Total Offense in a Season, 1984 SWT, and 6th All-Time Passing Yardage in a season, 1984. He was an Academic All-American Nominee, Lone Star Conference All-Academic Nominee, Unanimous Gulf Star Conference All-Academic Team, 1984, and recipient of the Achievement Award for SWT P.E. Department, 1984. The Saturday following his death, he was remembered at the Texas State football game with a moment of silence and his photos on the Jumbotron. After graduation David began his coaching career in San Antonio, and then in the Valley coaching at Los Fresnos, Brownsville Hanna, Rio Grande City, Rio Hondo and Donna. He was a player’s coach and a loyal assistant. He received his Master’s degree at Pan American in 1996. His last few years at J. W. Caceres Elementary in Donna, where he served as a P.E. teacher, were among his favorites. There he was blessed to work on a campus where he was surrounded by people who loved him and whom he adored. He completed 29 years as a teacher/coach and was planning to retire at the end of this school year. David discovered the music of Bruce Springsteen when he was in high school and became a lifelong fan. He traveled from L.A. to the Meadowlands and all parts in between attending Springsteen concerts and his Sirius radio was locked on The Boss. During the summers in high school and college he worked as a lifeguard and then manager of the city pools. He taught multitudes of Harlingen young people how to swim, and he especially enjoyed teaching swimming to special needs children. David was a gifted poet, and the football ditties he wrote to motivate his teams were legendary. He was a Born Again Christian and had a very close and personal relationship with his Savior. He loved the Dallas Cowboys and was a virtual walking encyclopedia of sports statistics. He lived much of RGV Football History and was a historian of it. Among the many highlights of his life was watching his nephew Cade Saustad’s Highland Park Scots take the State 5A Football Championship at AT&T Stadium in December 2017. David is survived by his parents, Kathy and Jesse Longhofer, his beloved siblings and their spouses, sister Megan Saustad (Don) and brother Matt (Jenifer) along with his adored nephews Matt, Cade & Campbell Saustad and Graham & Cannon Longhofer, all of Dallas. He is also survived by his aunt Kathy Derryberry (Bob) and his uncle Vernon Longhofer, as well as a number of cousins on the Longhofer side. He leaves behind his HHS Class of ’81 teammates and classmates and his SWT Bobcat Brothers. He was predeceased by his paternal grandparents, Ben and Lena Longhofer, and his maternal grandparents O’Neill and Margaret O’Brien, along with a number of treasured aunts, uncles, and cousins. Special thanks to Dr. Oladayo Sanusi, who lovingly cared for David and was like a brother to him. Memorial Service for David will be held at Buck Ashcraft Funeral Home, 710 Ed Carey Drive, Harlingen (956 423-3636) on Sunday, December 16, at 4 p.m. Pastor Carl Flowers will officiate. Because David had a tender heart for animals, in lieu of flowers memorial donations may be made to the Harlingen Humane Society, 1106 Markowsky Avenue, Harlingen, Texas, 78550 or Kitties of the Valley, P.O. Box 2745, Harlingen, TX 78501. Contributions may also be made to a favorite organization of David’s, Texas State T Association @ Don Coryell, Darren B. Casey Athletics Administration Offices, Texas State University, 601 University Drive, San Marcos, TX 78666 or online @ https://donate.txstate.edu/t-association. We invite you to sign an online guestbook at www.buckashcraft.com.